New York Times bestseller Gregg Hurwitz blew into the writing scene with his debut Minutes to Burn. With his Timothy Rackley series, Hurwitz hit his stride, solidifying his position as a top-shelf thriller author. In his latest series, Orphan X, he has reached new heights, producing a magnificent blend of pulse-pounding action, complex characterisation, powerful imagery, and beautiful prose. Evan Smoak, the titular Orphan X, was once a deniable assassin for the US government. Trained as a child to become a living weapon, he is an operator par excellence, capable of reaching and killing any target anywhere on Earth. After a dozen years of service, he dropped off the grid and became the Nowhere Man, a Los Angeles-based vigilante who uses his skills to help victims of criminals. Bottom line up front: the Orphan X series is incredible. If you love thrillers, Orphan X gets my wholehearted reservation. But this post is not a review. It is an analysis of Evan's tradecraft and how it influences the plot. Evan is a human weapon. Trained in everything from infiltration to interrogation, marksmanship to martial arts, he is a deadly efficient manhunter. Give him a target and he won't rest until the target is erased. In his years of government service, he has acquired millions of dollars in operational funds and countless enemies. Now a freelancer, he uses his funds to support his lifestyle, maintaining a network of safehouses, a fleet of up-armored vehicles, and an arsenal of untraceable guns. He is the portrait of paranoia and professionalism. Up until the first chapter of the first novel. The Nowhere Man begins with Evan bleeding from a knife wound. It's not fatal, it's not even debilitating, but he's dripping everywhere. The wound continues to bleed until he returns to his primary safe house. It hints at violence, builds up tension, introduces the reader to the life of Evan Smoak... and is utterly unbelievable. Evan was trained by America's finest trainers. In current tactical thought, operators and civilian self-defenders should always carry a medical kit on their persons. This doctrine has been around since the Moscow and Mumbai mass shootings. Further, Evan would know that dripping blood everywhere leaves a DNA trail. It's implausible to think than a man with his level of training and experience would not carry so much as a band-aid on him. On his way up to his home, Evan must deflect the suspicions of the civilians around him. No one notices the blood, except for an eight-year boy, the child of single mother Mia Hall. This incident is the start of a meaningful relationship between Evan and the Halls, with Evan trusting the boy to keep quiet about what he really does. Evan's implausible operational tradecraft set up a tense scene and catalyses character development. 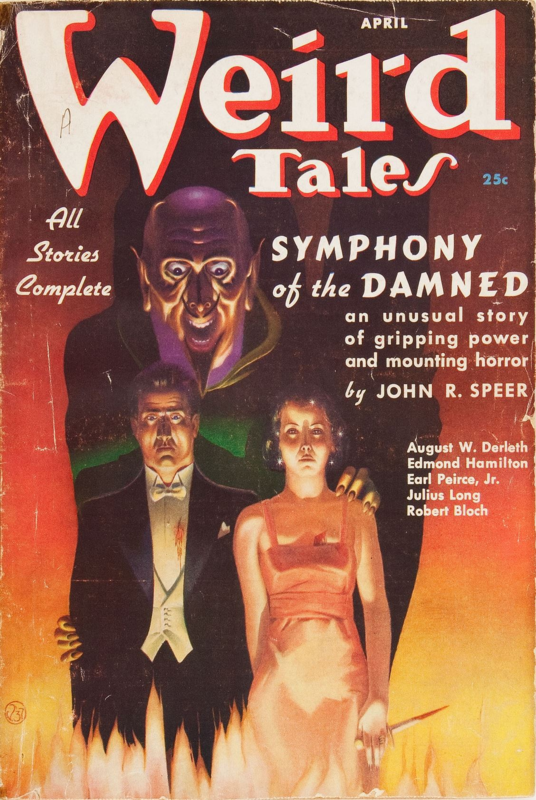 It's a theme that runs throughout the story. Whenever Evan is wounded, he returns to his safe house to treat himself, which in turn sets up a scene that requires him to trust someone or display emotional vulnerability or otherwise drop his guard and develop his character. Ironically, the inverse is true when it comes to hand-to-hand combat. Evan is portrayed on-page as a martial arts exponent, capable of flawlessly executing an arsenal of techniques. These include empty hand limb destructions from Filipino martial arts, grappling techniques, and more. Evan is described as having workout stations set up in his apartment, but that's not enough. Limb destructions require exquisite timing, and grappling demands an intuitive understanding of leverage, angles and momentum. These are not the kind of skills you can hone solo. There are training aids that can help, but they are no substitutes for deploying them against live resisting opponents. However, for Evan to properly train his techniques, he would have to find training partners. He would need a social life. This would significantly undercut his initial portrayal as a solitary man, friendless and alone in the world, living only for his mission, with nothing but an aloe vera plant for company. By making him so introverted that he only trains by himself, his interactions with other civilians become that much more significant to him and the reader. This logic of poor tradecraft setting up superior scenes is also seen in the combat sequences. Halfway through Orphan X, Evan kits up for a frontal assault on an enemy strongpoint. But he doesn't wear body armour, never mind that he's outnumbered and up against trained threats armed with assault rifles, and his approach is simply to bust his way inside and mow down everyone in his path. At the climax of the novel, he runs his pistol dry, and is forced to go hand-to-hand with his enemy. In the start of The Nowhere Man, Evan's insistence on traveling without body armor comes back to bite him. Again. These events, and others, do not gel with the portrayal of Evan Smoak. Evan is a multimillionnaire who treats ultra-high-end custom pistols worth thousands of dollars like disposable Saturday Night Specials. He has the contacts to obtain armor and specialist electronics for his vehicles and hideouts. He has gone through world-class tactical training. Obtaining body armour would be easy enough, and when running against top-tier threats, he should either wear armour or justify his decision not to wear it. Likewise, when up against an enemy organisation with dozens of gunmen and assassins among its ranks, carrying a single pistol with an eight-round magazine and no other weapons into a firefight is madness. He can easily afford to carry more weapons on his person -- and indeed, professionals do just that when they expect heavy work. But this poor tradecraft creates moments of vulnerability and intensity. During the assault, Evan is severely wounded, and the following chapters force him to return home, open up to Mia and interact more deeply with his fellow residents. In the climax, after Evan predictably loses his pistol, the story flows into a long-running action scene with brutal hand-to-hand sequences, culminating in a confrontation whose resolution harkens back to a much earlier scene when Evan allows the Halls into his home -- and ties into the plot of The Nowhere Man. And the events of The Nowhere Man could not have occurred had he been wearing body armour. At least, not as easily. 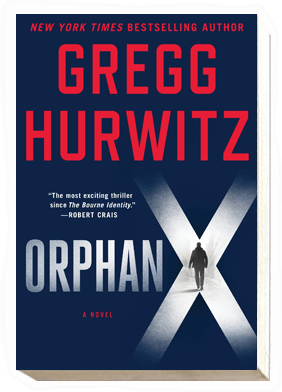 Consciously or not, Gregg Hurwitz exchanged tradecraft for thrills in the Orphan X series. A keen-eyed reader with the right knowledge base would quickly identify Evan's many shortfalls in tradecraft. But these shortfalls serve to humanise the man, either by showing he isn't perfect or by setting up character development scenes, or to produce even more intense action sequences than if he had been more adequately prepared, or both. Through these thrills and spills, Hurwitz delights and entertains the reader -- and that counts for much more than simply writing a human Terminator. In the thriller genre, writers grapple constantly with authenticity. The rule of thumb is always MOAR research, MOAR authenticity, MOAR better. Yet the success of the Orphan X series demonstrates that you don't have to write characters with perfect tradecraft to win reader acclaim. Up to a point, so long as the characters are believable to a civilian audience, and the story pulls the reader along for the ride, the story is a success. If you enjoy that marry tradecraft and thrills, check out my latest novel Hammer of the Witches. For story updates, news and promotions, sign up for my mailing list here.